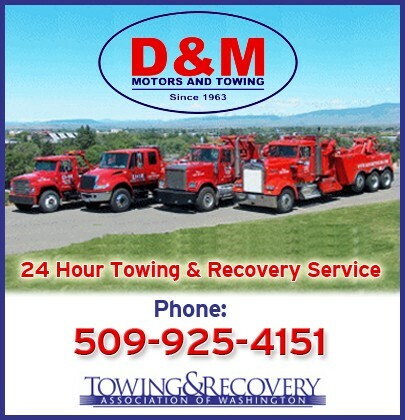 We are Kittitas County’s premier towing service, offering 24 hour response for Heavy Duty Truck and Trailer. We have been a family owned business since 1963. The towing department was implemented in 1969; that’s forty three years of towing and counting! Based in Ellensburg, Washington we are centrally located and can respond to your needs immediately. Jumpstarts, Lockouts, Secure Storage, and much more. We are constantly improving our business with the latest equipment and training. We believe it is important to maintain the best possible standards in order to best serve our customers. Quality Service, fast response, Fair prices, 24/7 CALL 509-925-4151.